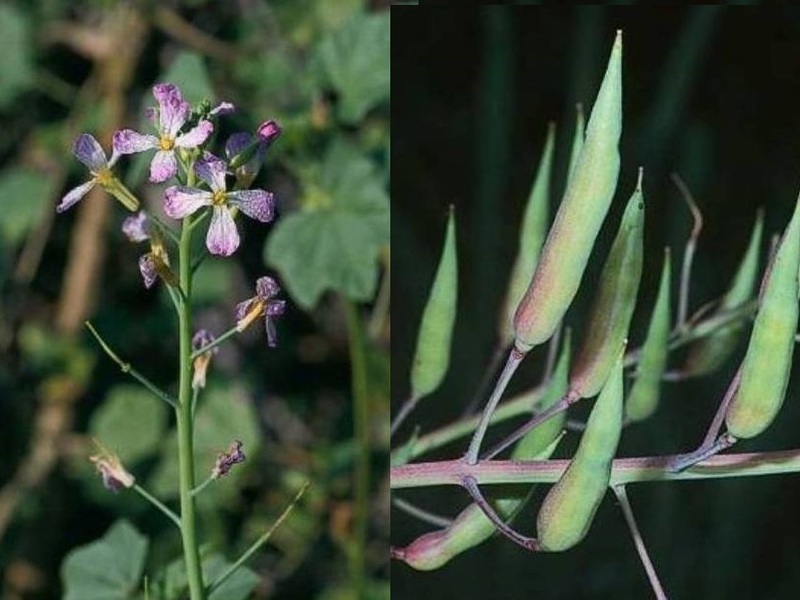 Raphanus sativus (radish) is an annual or occasionally a perennial (family Brassicaceae) that frequently invades grasslands and open/disturbed areas, including roadsides in California. Wild radish may also be found in wetland areas. Wild radishes are capable of excluding native plant species and are, on rare occasion, toxic to livestock.